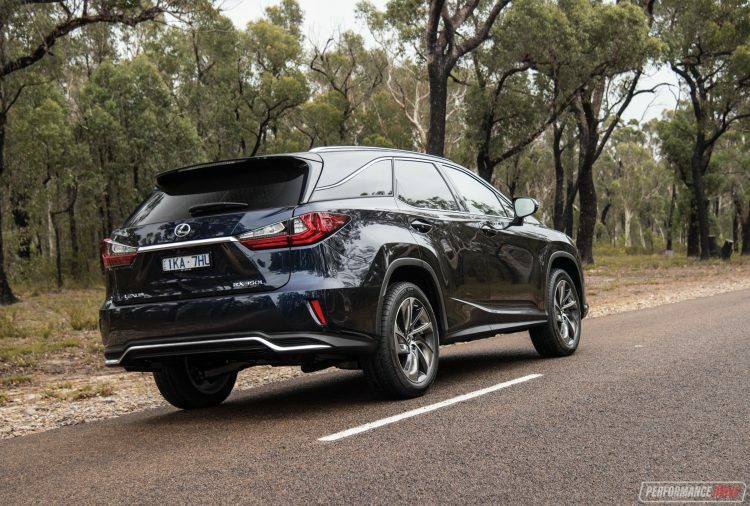 Lexus is finally competing in the demanding 7-seat crossover market segment, thanks to the introduction of the RX L. This is not just a regular RX with two additional seats shoved in the back. It’s more than that. 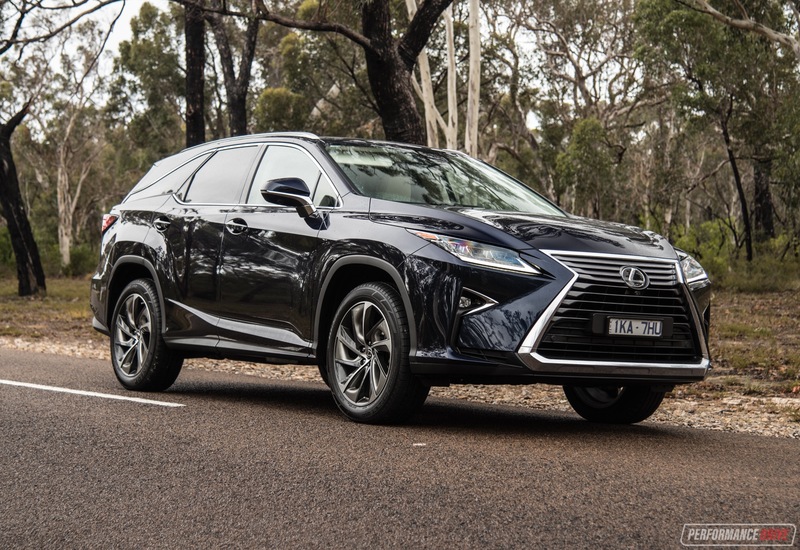 The RX L was launched in Australia in February, offering customers either RX 350 or RX 450h powertrain options, and in Luxury and Sports Luxury trim. The F Sport, which usually sits in between these two, has been omitted for the RX L, perhaps reiterating the new model’s family focus. 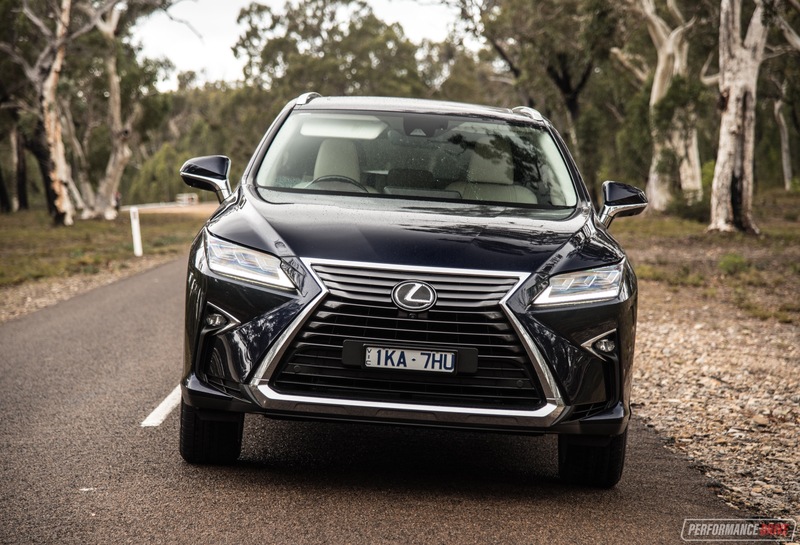 Here we’re testing the top-of-the-range Sports Luxury version of the RX 350, which comes with a 216kW/358Nm petrol V6 engine and all-wheel drive. 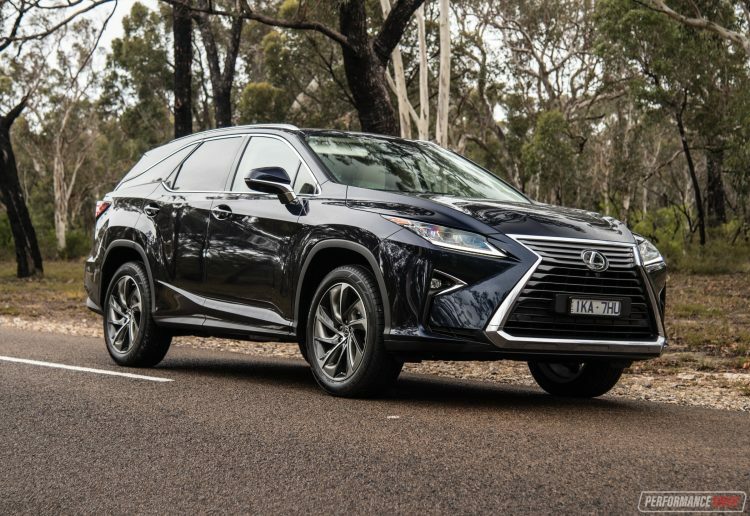 Prices start at $101,500 for this, but you can step into a 7-seat RX from $84,700 with the RX 350L Luxury (excluding on-roads). 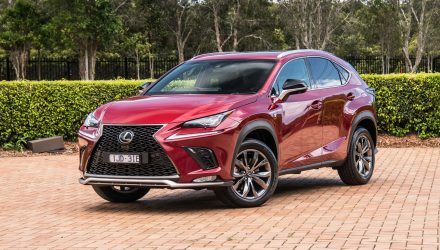 As mentioned, the RX L is not just an RX with two extra seats. 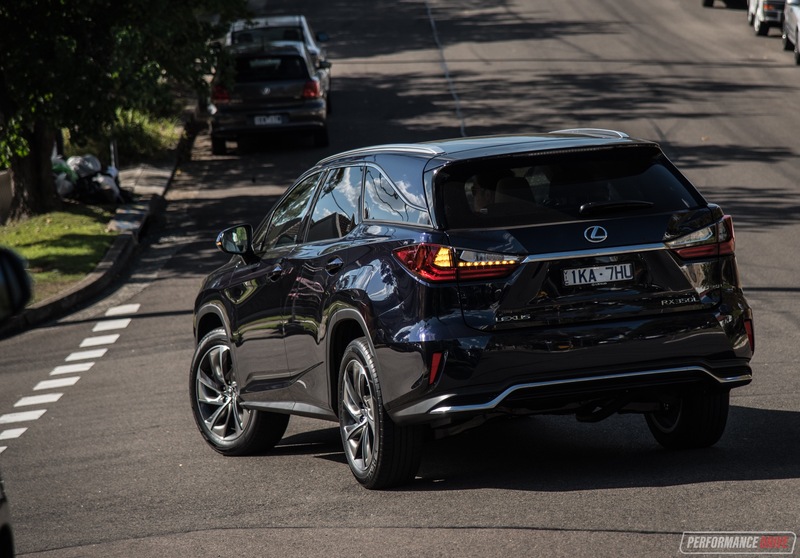 Lexus has re-engineered the crossover, extending the rear overhang (the body behind the rear wheel) by 110mm. This means the side body panels from the rear doors are unique, with a unique rear bumper bar and D-pillar. 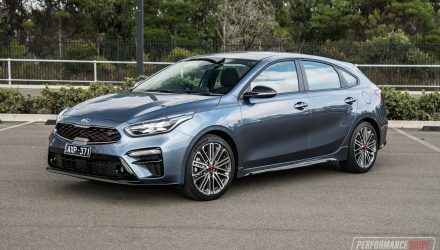 The roofline is also revised and now sits 10mm higher, with an overall length of 5.0 metres and an overall height of 1.7 metres. 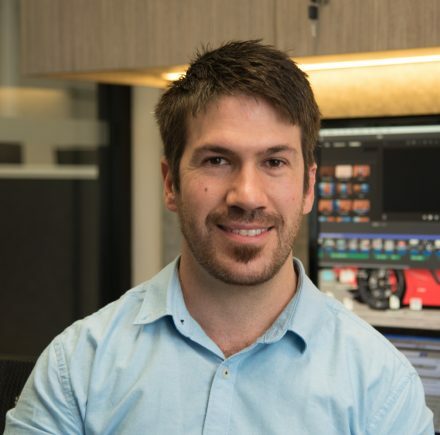 You might not recognise the changes if you saw one driving down the road. But, on second glance you might notice the RX L looks more crossover and almost MPV-like compared with the stubbier five-seat RX. In Deep Blue, as featured here ($15000 option), the RX L does look quite impressive, with a lot of road presence helped by the stylish LED headlights featured on the Sports Luxury. Step inside and you’ll be greeted by an expansive cabin that looks and feels so opulent, you can smell it. Deep-pile carpet mats are plush enough to be used in your lounge room, while the leather on the seats is super-soft, gently cradling you in place. 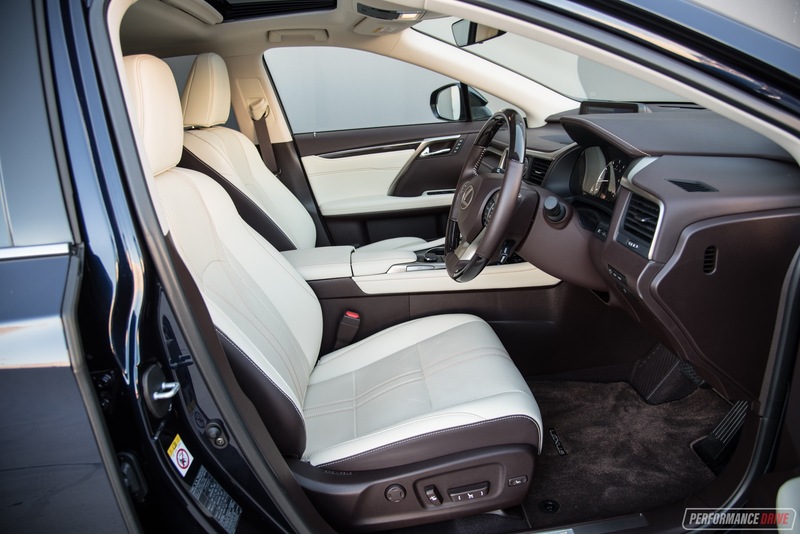 With the cream leather option as featured here, there’s absolutely no mistaking this as anything but a pure luxury vehicle. It’s lovely. It doesn’t take much of a step up to slide right on in. 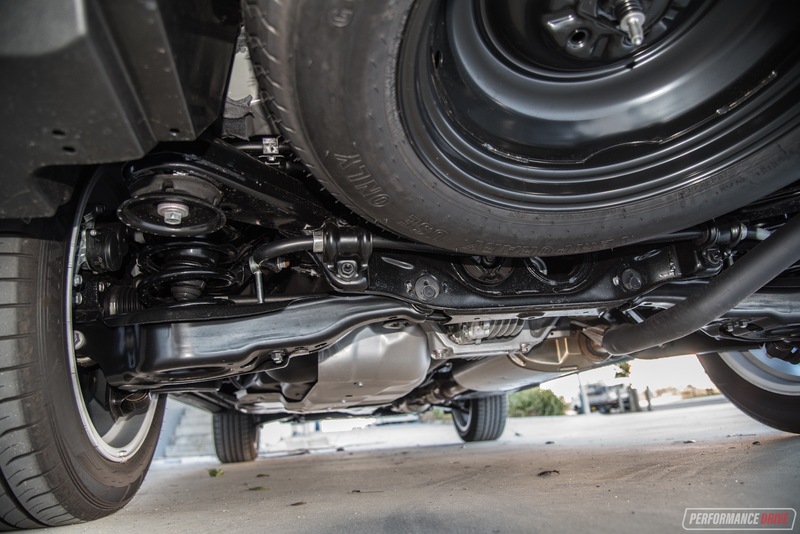 In fact, the seat height is the ideal distance from the ground – probably one of the main drawcards of the crossover concept. Once you’re in, the chunky centre console makes you feel encapsulated in and secure, while the tall ride removes any chance of feeling claustrophobic. Check out the wave-like detailing on the front of the centre console, covered in laser-cut aluminium and wood. 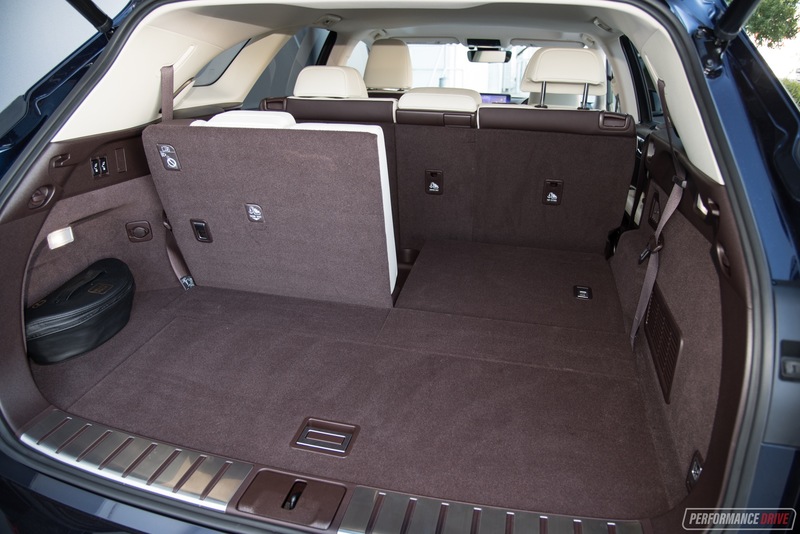 You’re not going to be wanting more rear seat space. Like the regular RX, the rear seat is huge here as well. The entire bench is adjustable so you can either open up space for the third row or make the middle seat feel like you’re sitting in a limousine. 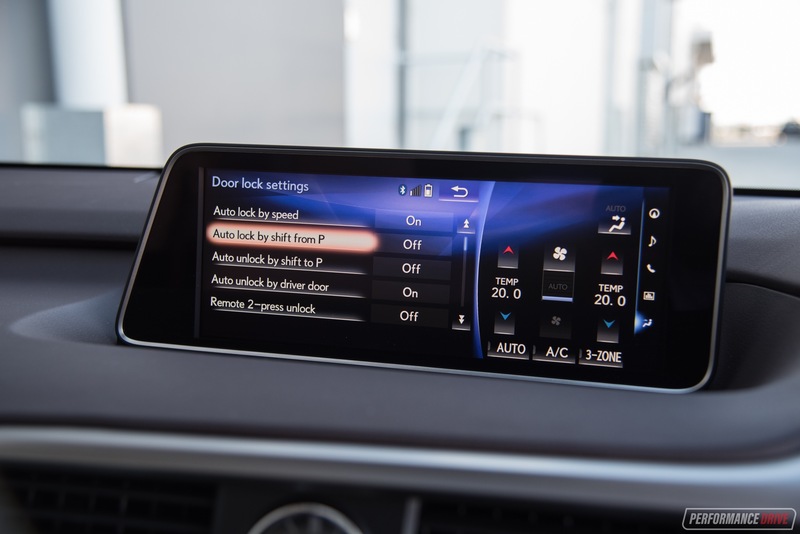 Getting into the third row isn’t as easy as it is in some 7-seater SUVs, but the third row can be deployed or retracted at the touch of a button, which is very handy. 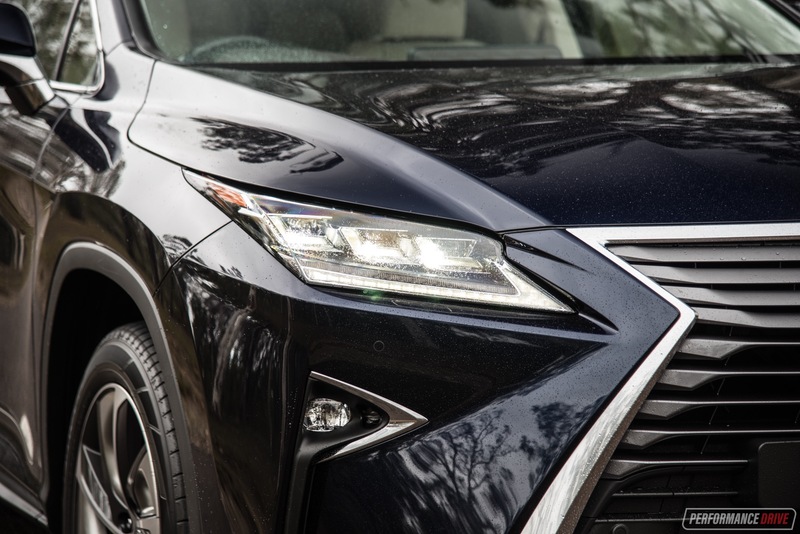 Lexus claims the third row is accommodating for adults, but we think that’s a bit ambitious. Legroom is going to be the main complaint, or, more specifically, footroom, as there isn’t really a well or dropping floor. 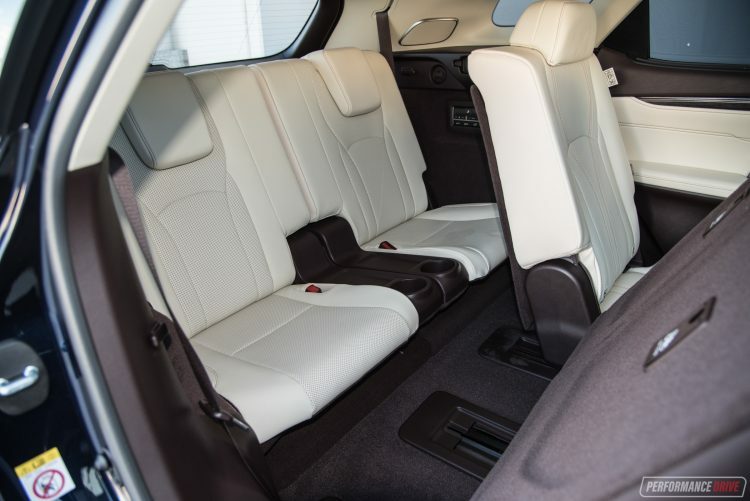 The kids will love the climate controls and separate cup holders in the back though and there is definitely enough space for them, or for small-to-average size adults during shorter trips. 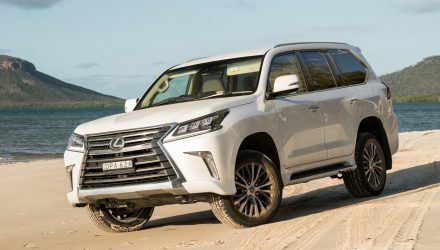 The Toyota LandCruiser-based Lexus LX obviously offers more room if that’s what you need. Surprisingly though, cargo space is very impressive even with the third row lifted. 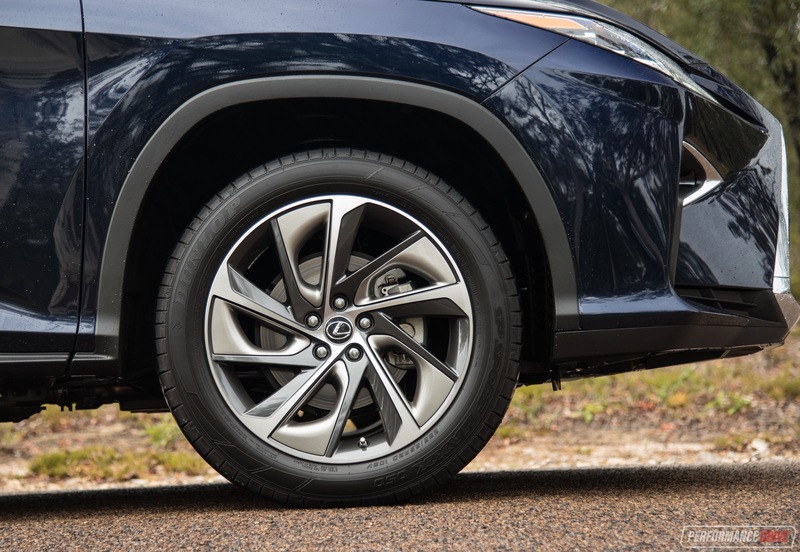 Lexus claims the boot floor is actually the longest in the class, measuring 556mm with the third row up. With them down, the boot floor stretches out like a big picnic blanket. 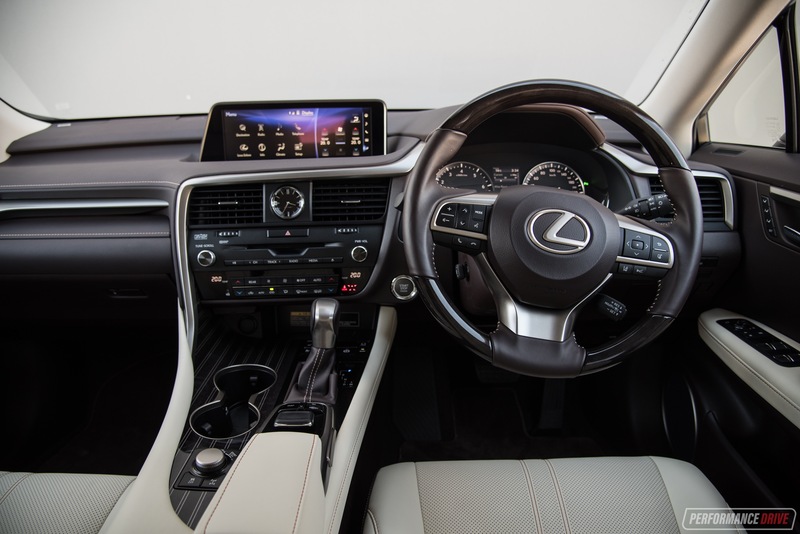 Going for the Sports Luxury gets you Lexus’s latest 12.3-inch media interface. 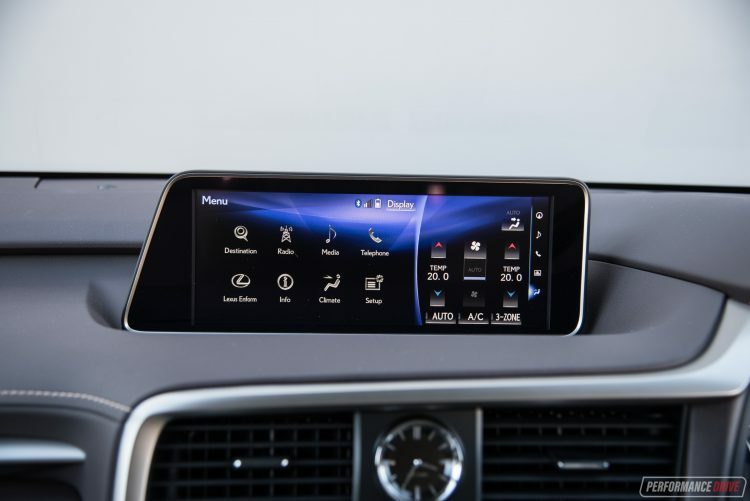 The wide-screen unit is massive and sits neatly perched on the dash. It’s not really a tacky last-minute tablet-style add-on like what some manufacturers offer. 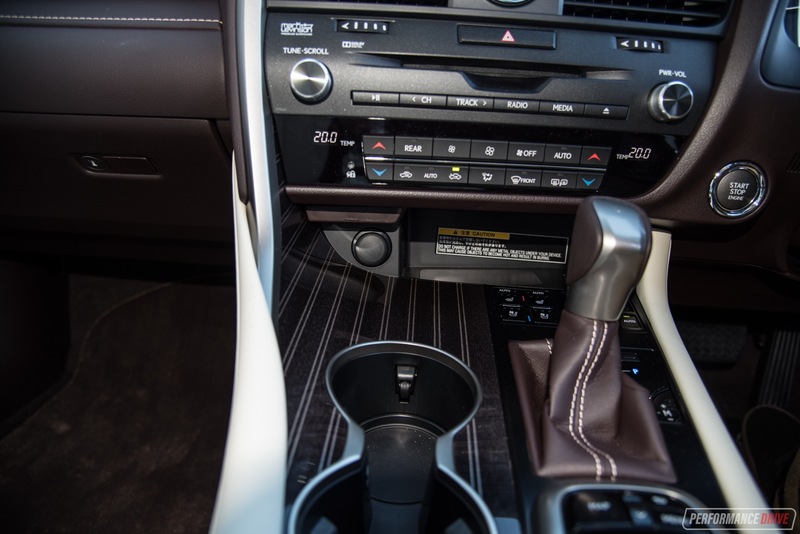 Instead, it seems crafted into the dash design from the beginning. We’re not a fan of the touch-pad controller, however interesting and advanced it might be. 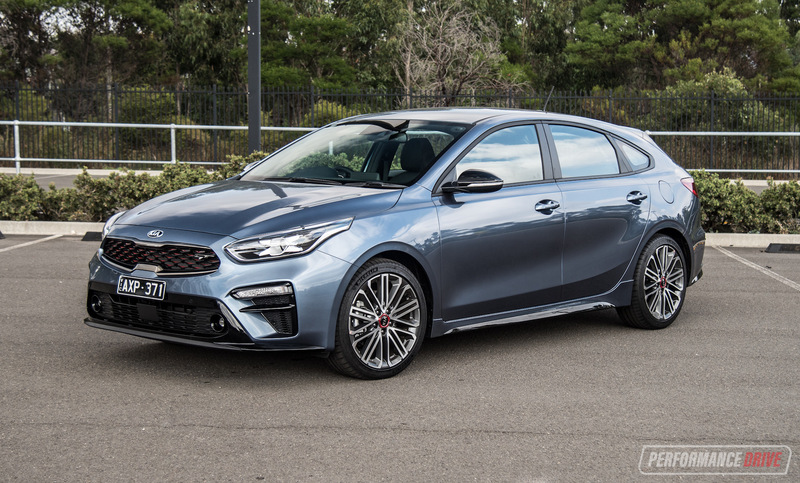 Everything you could need is incorporated in though, including sat-nav, loads of vehicle settings and adjustments, and phone connectivity, although no Apple CarPlay or Android Auto. 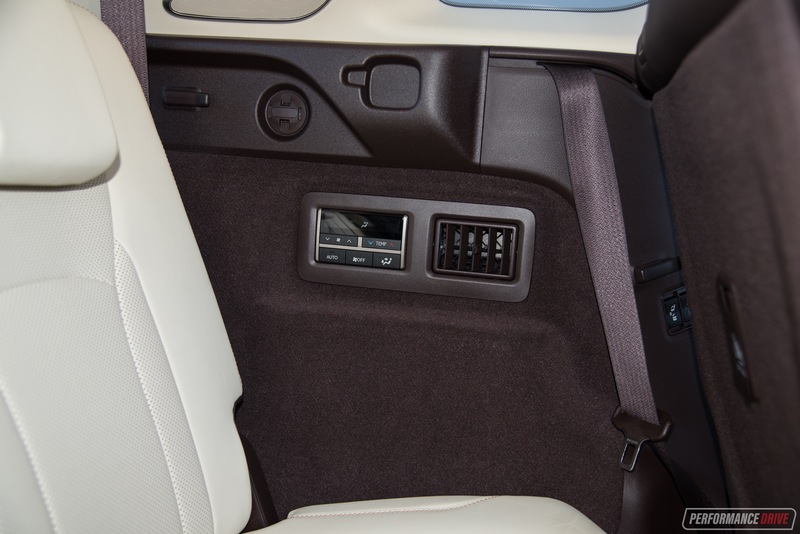 There’s also a wireless phone charge pad as well as heating and cooling for the cushy front seats. 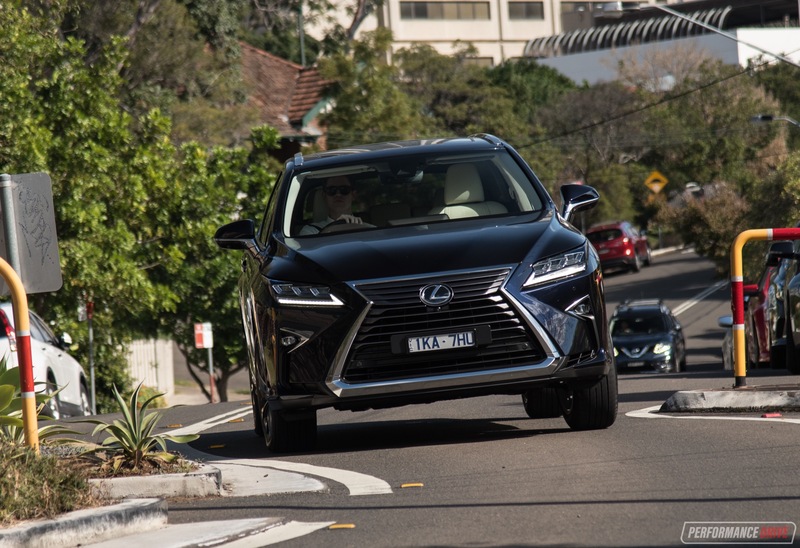 Combined power output for the RX 450h hybrid might be higher, at 230kW, against this RX 350’s 216kW oomph, but the 350 is around 200kg lighter in weight. This does make a big different. 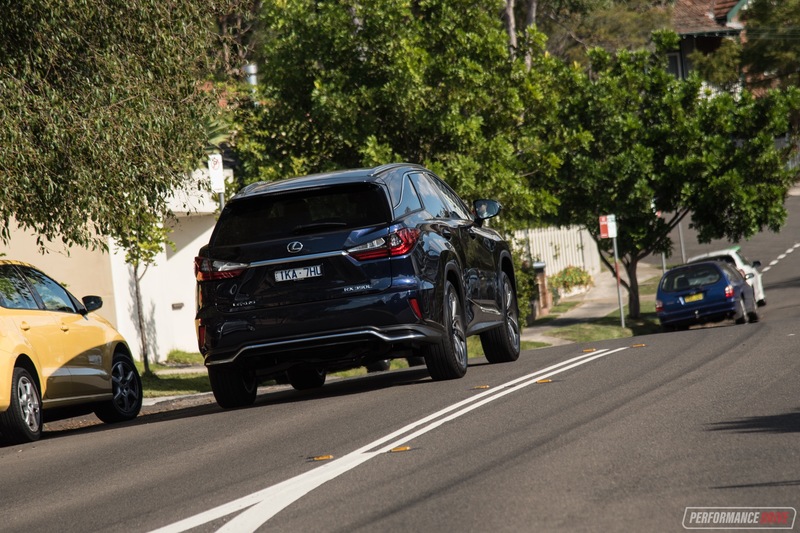 We’ve tested the acceleration performance of the RX 200t (now called RX 300) and the 450h before – albeit in five-seat configuration – and the 350 is the quickest of them all. Using our Vbox we clocked 0-100km/h in 8.36 seconds in the 350, against 8.47 in the 450h and 8.48 in the 200t. There’s hardly anything in it. So, why would you go for the 350? Well, it is the smoothest and most relaxing option of them all, in our opinion. 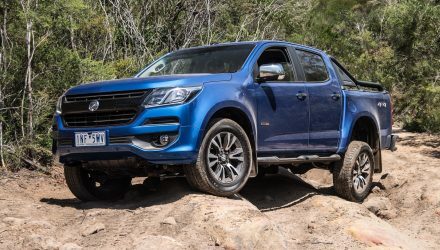 It also comes matched to a nice eight-speed auto as opposed to the 450h’s dreary CVT auto, while packing all-wheel drive grip over the RX 200t/300’s front-drive-only recipe. 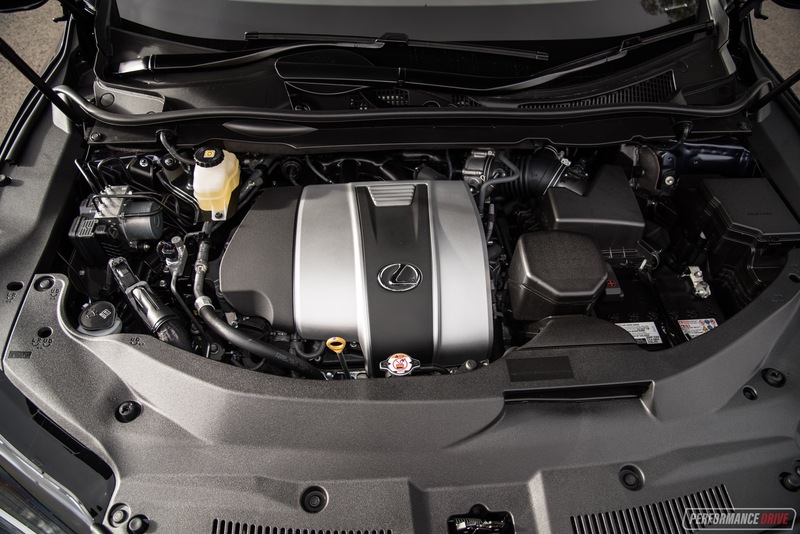 The V6 also produces a satisfying thrum and rasp through the gears, which helps to make the drive experience all the more enjoyable. On the contrary, the fuel consumption isn’t as satisfying. Officially, the average consumption is 10.6L/100km and although our tested average wasn’t far off that at around 11L/100km, this is still quite high by today’s standards and against the RX 300 (8.1L/100km official average) and 450h (6.0L/100km). If you’re spending a lot of time on the open road, on highways or in the farer-reach suburbs as opposed to in the city, the RX 350 is the way to go. It does feel like it’s under the least strain in higher-speed conditions, especially during overtaking, compared with the 450h. 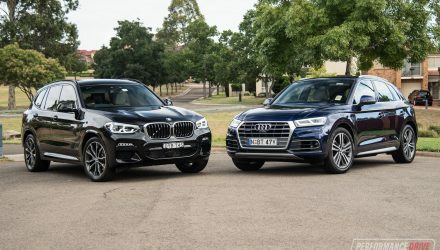 Drivers can toggle between three drive modes in the Sports Luxury, and they do seem to make a difference to throttle response and the standard adaptive variable suspension (on Sports Luxury only). 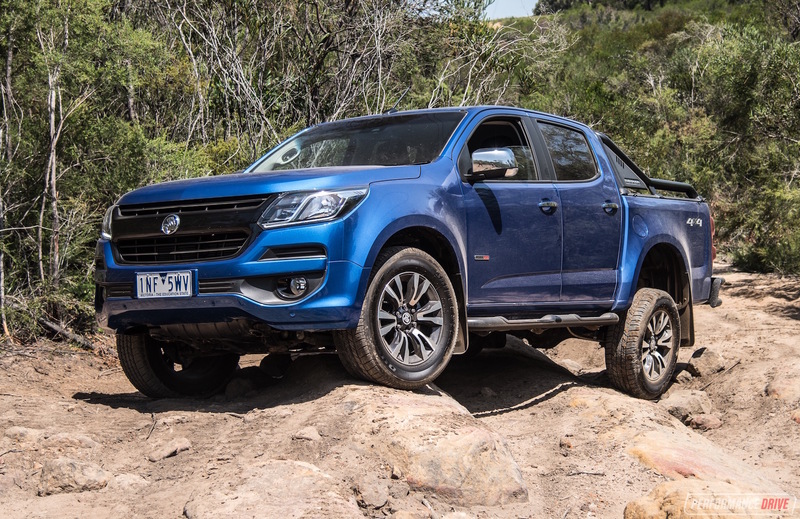 Throttle response is already quite snappy in the default mode anyway, so if there’s any vehicle that you’d actually use the eco mode it’s probably this one. Handling precision and agility is not really an area the RX excels in. 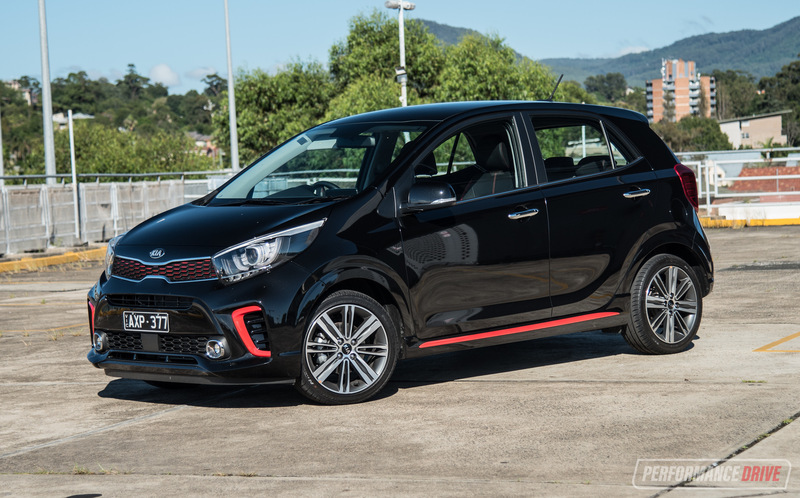 But with the adaptive suspension doing its thing, the latest model is surprisingly zippy around tight streets. 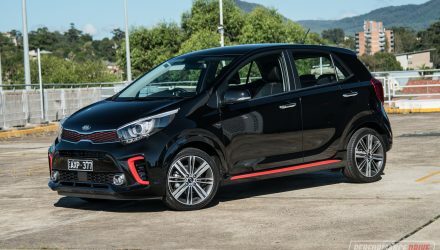 The sporty three-spoke steering wheel is a delight to grasp, with a pretty quick steering ratio helping to tuck the noise in around corners with relatively rewarding precision. It doesn’t handle as well as the German rivals, outright, but, the upshot is a far superior ride. 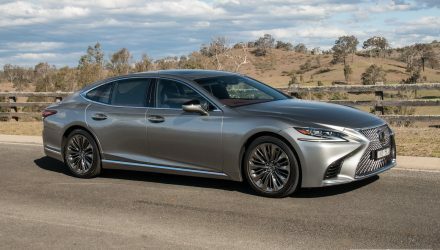 Lexus makes luxury cars, first and foremost. 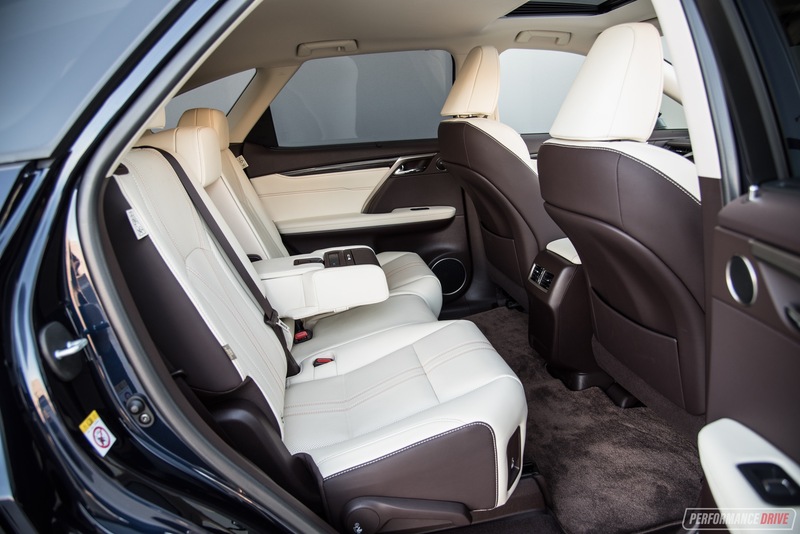 So it should come as no surprise the ride comfort is a primary priority in the RX. Fitted with 235/55 tyres, which are quite tall compared with the German rivals, bumps are merely a disturbance, both physically or aurally. It doesn’t matter what road you’re on, this is a very relaxing drive. Sitting in the back is where it’s at in the RX. 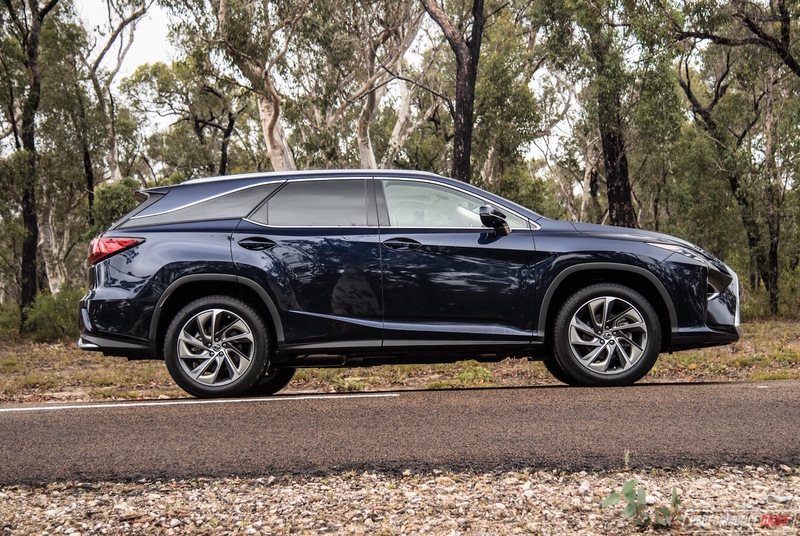 We’re surprised more hire car or VIP car owners don’t go for the RX. It’s a supremely comfortable cruiser. 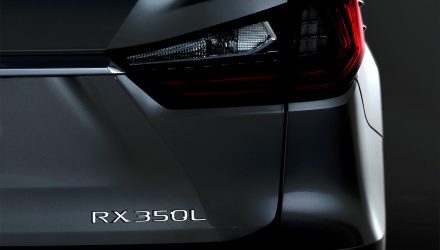 Sales of the RX should increase with the introduction of the RX L. So far this year (through May) the local arm has sold 882 examples of the RX nameplate. This is up 14.8 per cent on the same period last year. 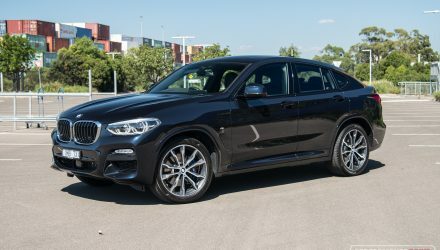 It’s currently the fourth best-selling model in the class, behind the likes of the BMW X5 (1189 sales), the Range Rover Sport (1152), and the Audi Q7 (931). 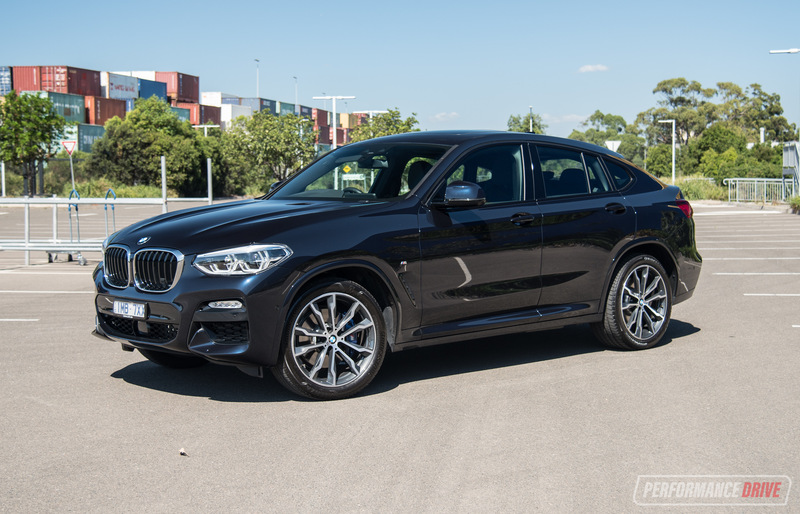 Buyers looking for a very comfortable and relaxing 7-seat crossover built to fanatical attention to detail and quality need to look this way. We’d recommend going for the silky smooth V6 ‘350’ option as it does seem to pair well with the majestic nature of the car.